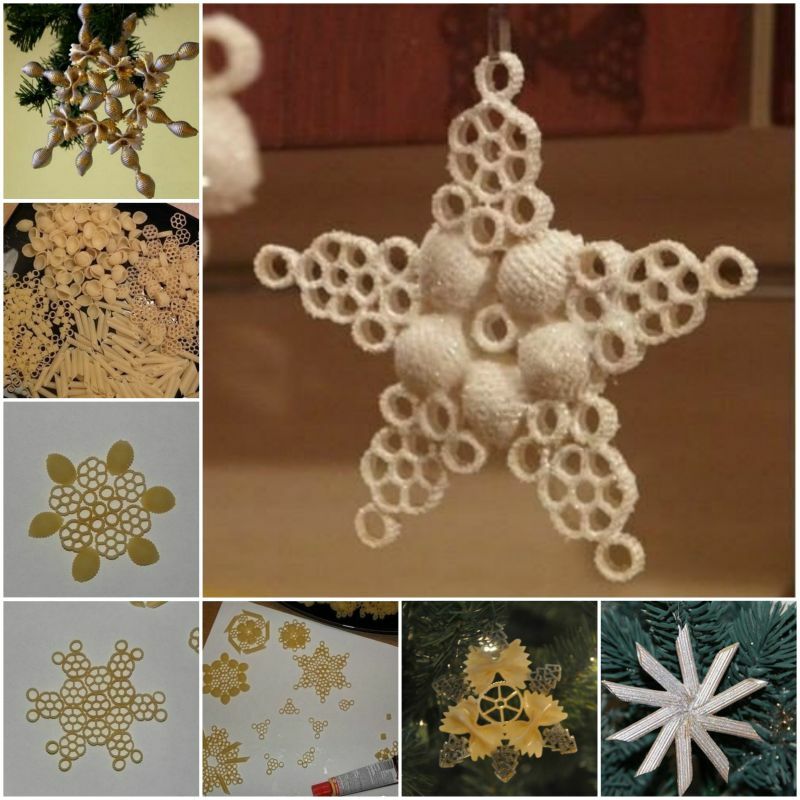 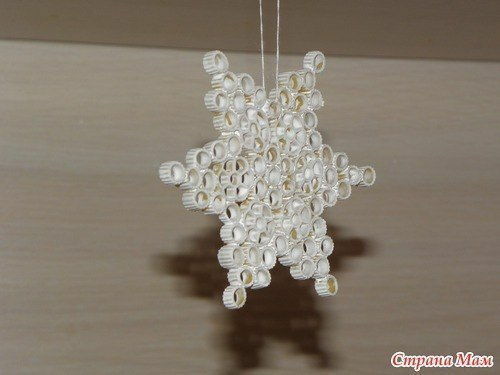 I absolutely fell in love with these DIY pasta snowflake ornaments. 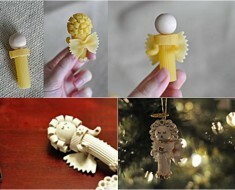 If you are looking for some fun Christmas crafts for kids, then have a look at these adorable Christmas tree ornaments made with pasta. 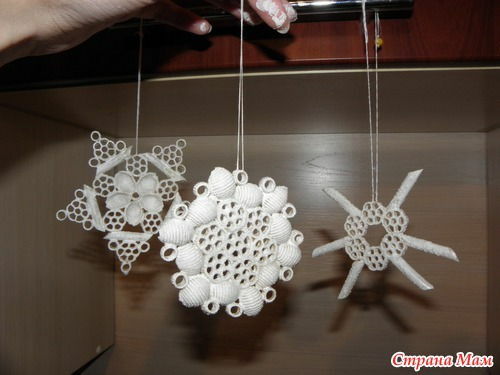 We have seen handmade snowflake ornaments that are made of paper or felt. 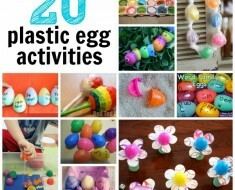 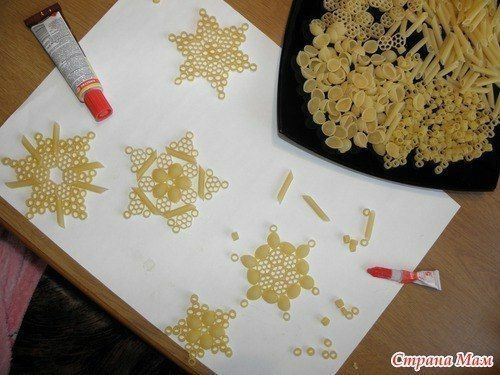 But using pastas to make snowflakes? 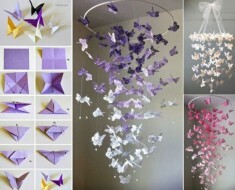 That’s totally creative! 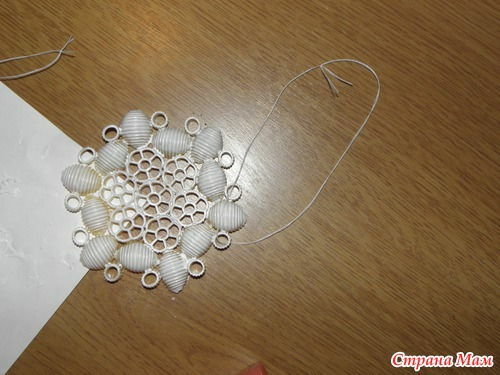 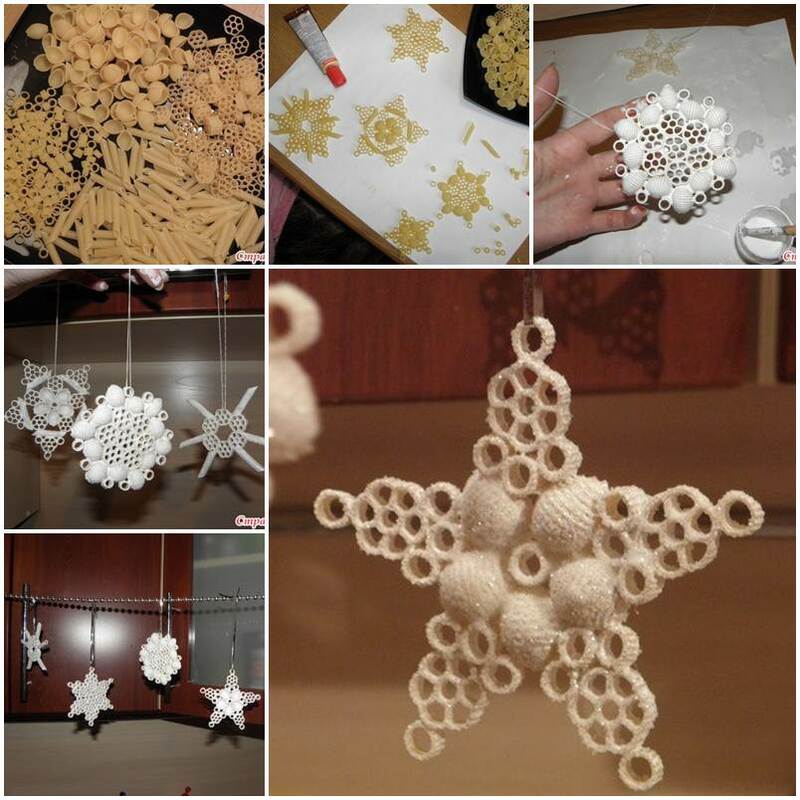 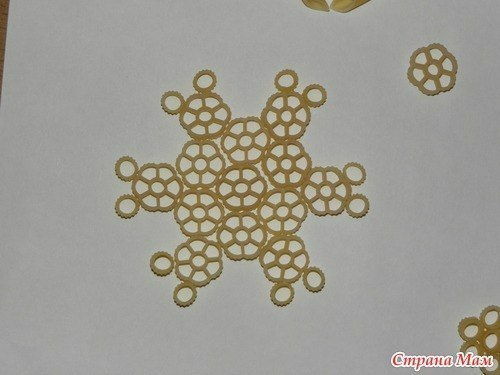 You can arrange the pastas to make different shapes of snowflakes. 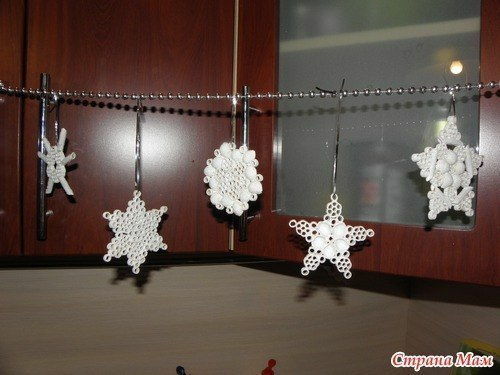 I would like to apply glitter paint to make them shiny. 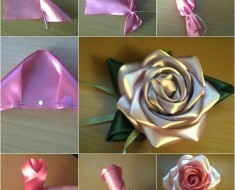 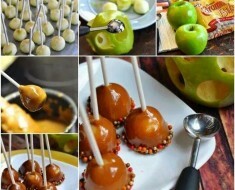 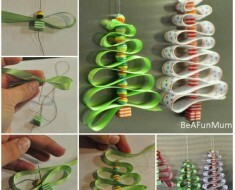 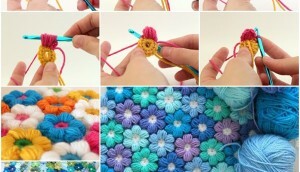 You can hang them over the ceiling, the windows, on the Christmas tree, or make a garland with them. 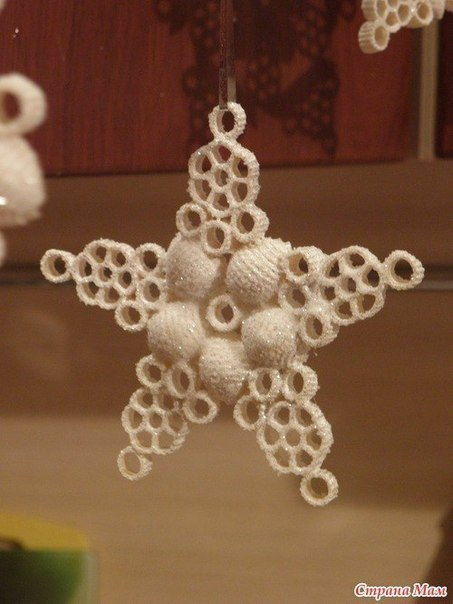 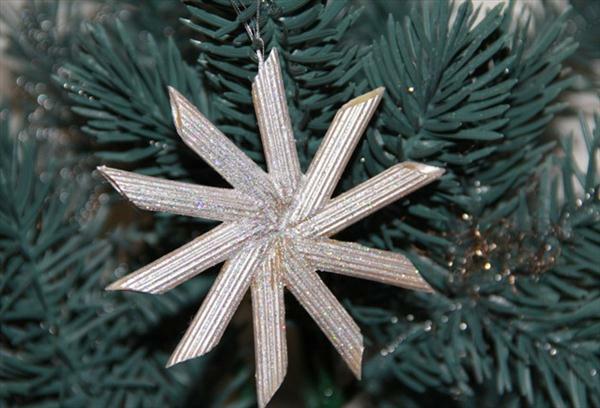 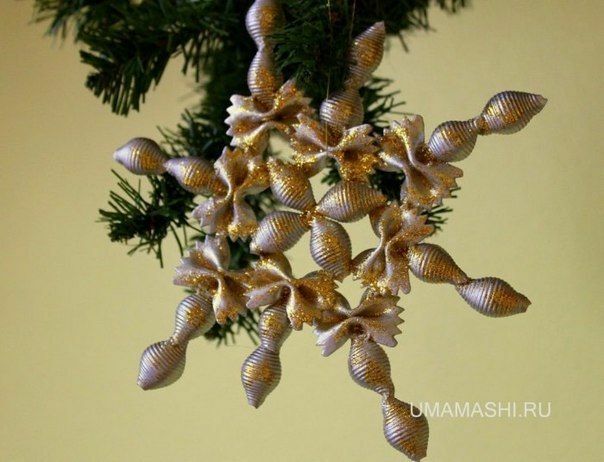 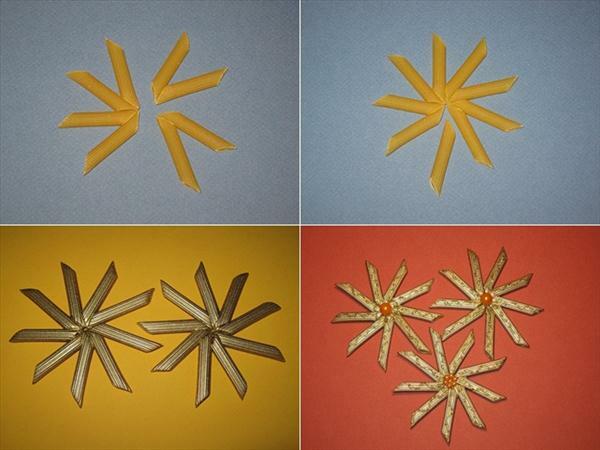 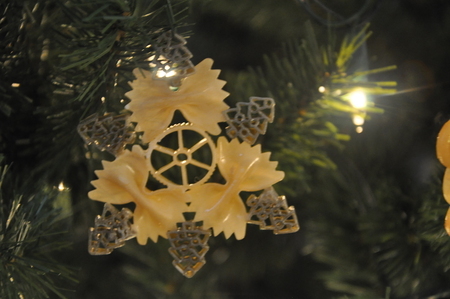 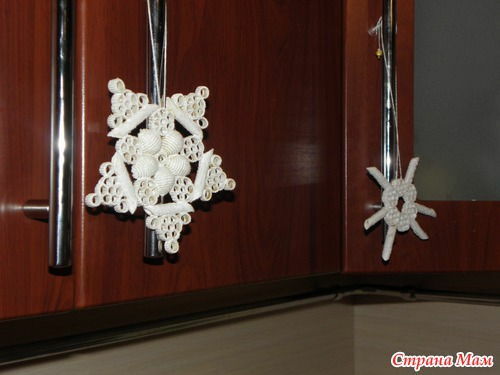 These pasta snowflake ornaments are such lovely holiday decors for your home. 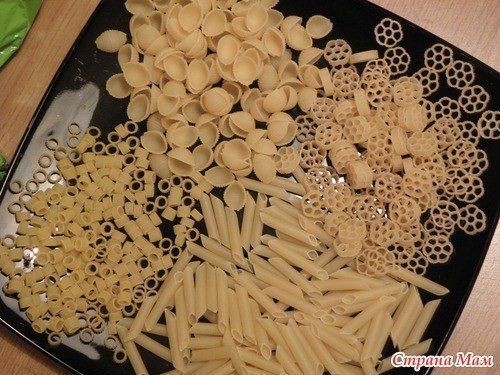 I guess the only problem is how to find as many as pastas with different shapes and sizes. 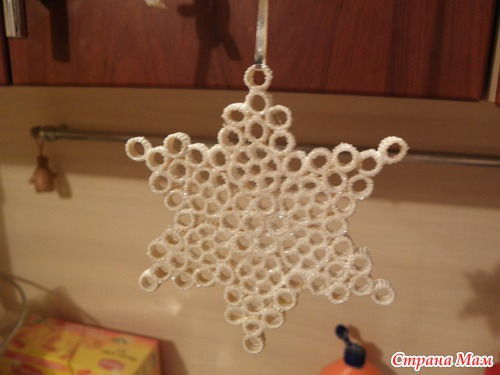 To start, we need to work on parchment paper or wax paper. 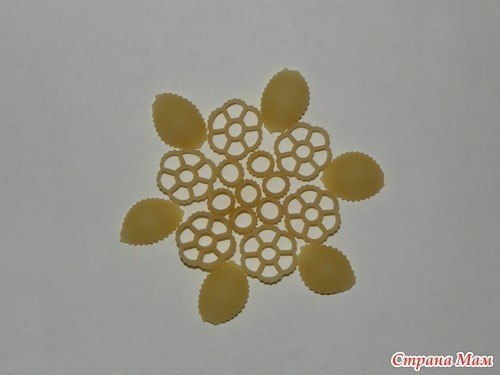 Design small and large wagon wheel pasta pieces into ornament shape. 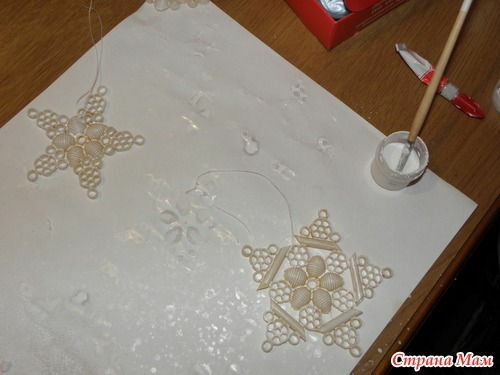 Glue together with glue that dries clear. 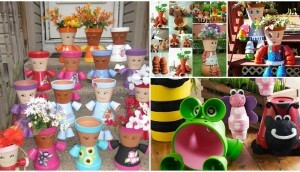 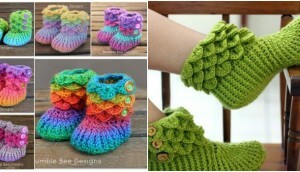 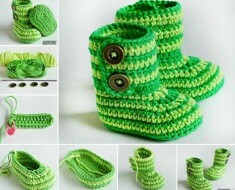 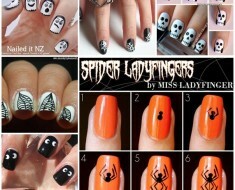 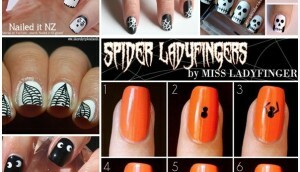 Paint them and add glitter if you desire. 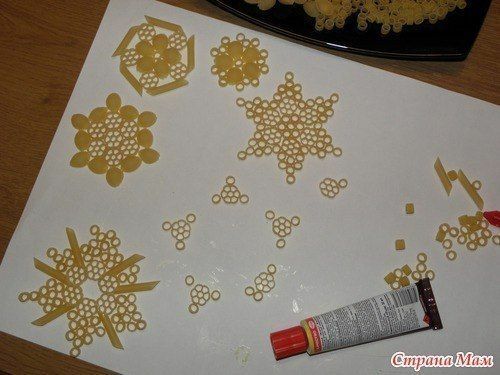 You can use all shapes to pasta to make with this idea, then start your creativity. 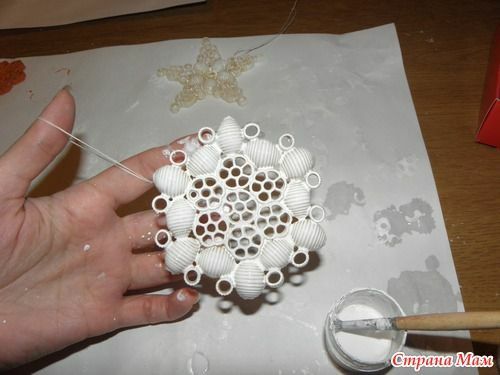 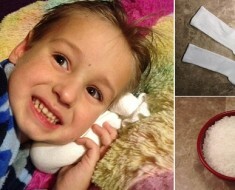 These easy Snowflake Ornaments are a fun way for kids to make their own homemade decoration. 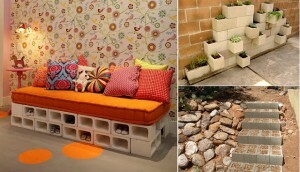 Source here .